Many of our community members are facing uncertainty due to the recent flooding’s across the Midwest. This includes our immigrant neighbors. Determining whether immigrant families affected by the recent flooding are eligible for assistance can be complex. The answer depends, in part, on the immigration status of members of the household, but there are limited resources available to immigrant families. We, at Immigrant Legal Center, are a nonprofit law firm providing high-quality legal services, education, and advocacy to low-income immigrants in our communities. We do not provide emergency services, but we can refer to services and resources that may be available to immigrants. A centralized hotline for low-income immigrants to determine if the individual qualifies for immigration legal services. Also a referral hotline to other resources that are available in the caller’s area. 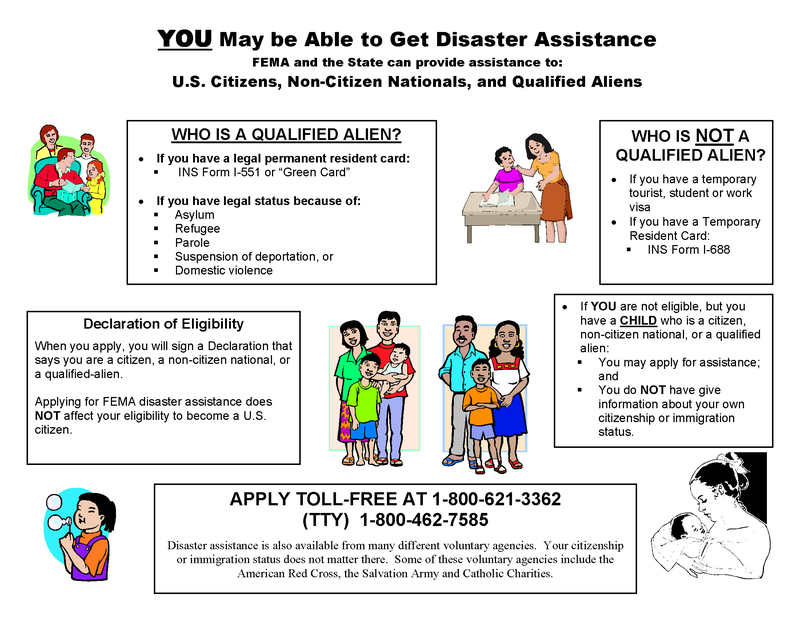 Operates nationwide was created to helping people before, during, and after disasters for U.S. Citizens, Non-citizens Nationals, and Qualified Aliens. Please speak with an attorney before applying for FEMA. A free, community resources hotline that is available to all, with multilingual access. They offer basic human needs services, health services, employment support, and other resources. Call 211 on your phone or text your zip code to 898211. A list of Flood Relief Resources is on their website. Click here to request help online. A group was created by the Great Plains Conference in response to flood disaster happening in the Midwest. They are also accepting donations and cleaning and hygiene kits. If you are in need of resources, please contact them through the same phone number or go to their website. SHARE Omaha offers giving public opportunities to connect metro nonprofits through donations, volunteering, and wish lists. They have created a list of on their website on local resources available to the community.